To make the tassels wrap a piece of embroidery floss around your first two fingers, staring in between the two fingers, five times. Slide off and cut the end in the middle, where the first end begins. Twist the top folded ends together, and place inside the crimp end. Use the chain nose pliers to gently push the two sides together, creating a tent shape. Use the same pliers to then bend one end down and over the strands of floss, followed by the other end. Repeat on the other side of your floss loop, as shown above. 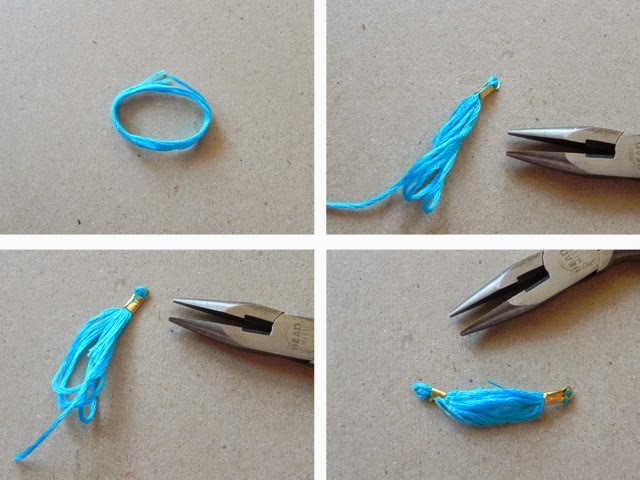 Cut the loop in the middle, and trim your tassel to the length you like. Repeat with the other four colors, until you have two sets of each of the five colors. 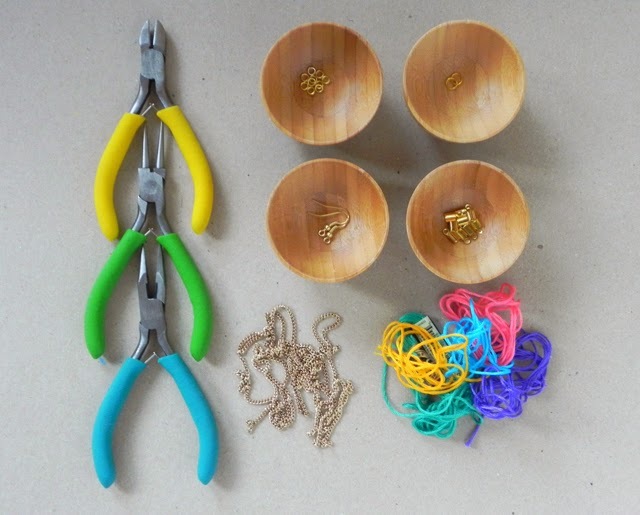 Grab your chain, and cut two sets of five different lengths. Don't worry about them being perfect, I like the imperfections between the two earrings. I eyeballed it and cut mine at half-inch intervals, up to about two-and-a-half inches. 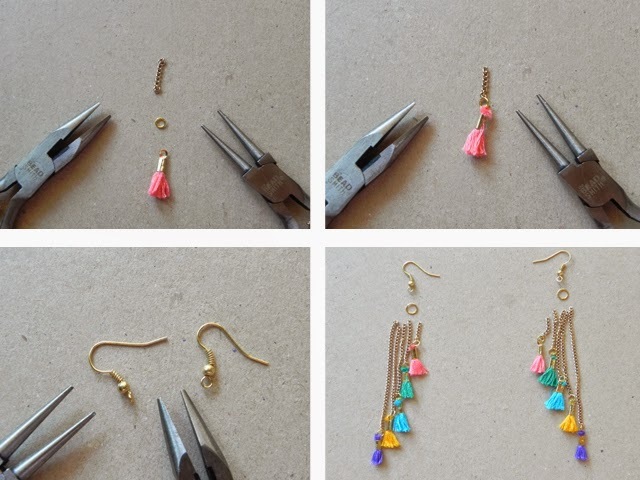 Keep in mind that your ear hook + jump ring will hang down an inch, so decide how long you want your earrings to be before you start cutting chain! Mine are about three and a half inches long. 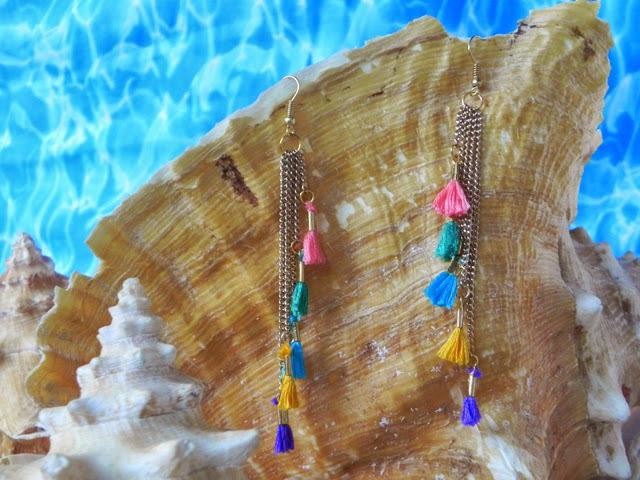 Decide which color tassel you'd like on each length of chain, and line them up. Grab a 4mm jump ring, and open it by pulling/pushing with your pliers top to bottom, not side to side. Add on a tassel and its length of chain. Close the jump ring the same way you opened it. 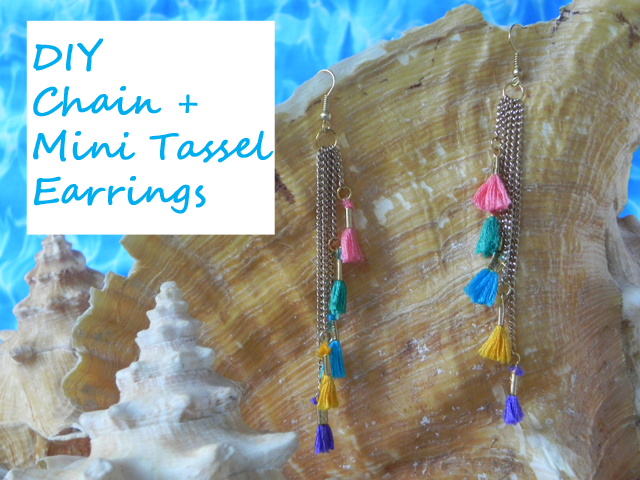 Repeat for all the tassels and their chain lengths. Take your earring wires and with your pliers gently rotate the bottom ring 90° as shown. This way the tassels will line up front to back, shortest to longest rather than side to side. Open a 6mm jump ring and thread on the chains starting with the longest one first, then the next longest and so on. Slide the earring hook on next. Close the jump ring, and repeat for the other earring. I love how fun and carefree these earrings are. 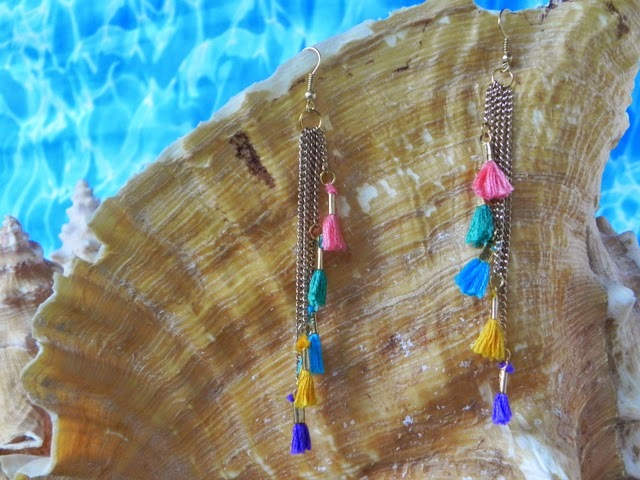 They really epitomize summer to me, and seriously how cute are the little tassels? I'm loving them and want to add them to more pieces! I was able to make these with items I have on hand, but you can easily recreate yours too. Try sourcing chain, jump rings, or earring hooks from old or broken pieces you no longer wear. 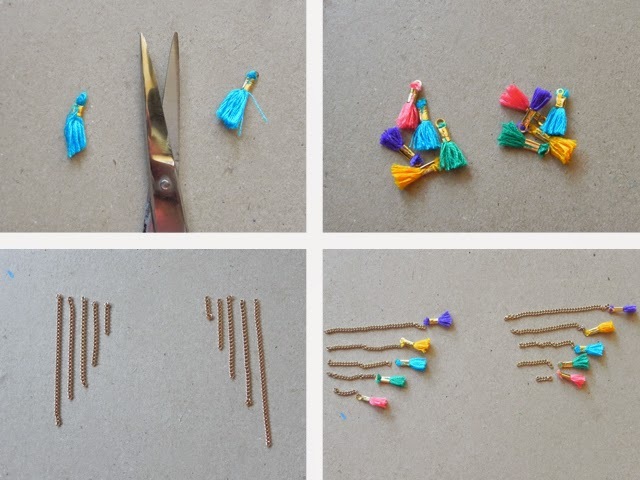 You only need a little bit of embroidery floss to make the tassels, so use some scraps if you have them too! Love these? Make them! 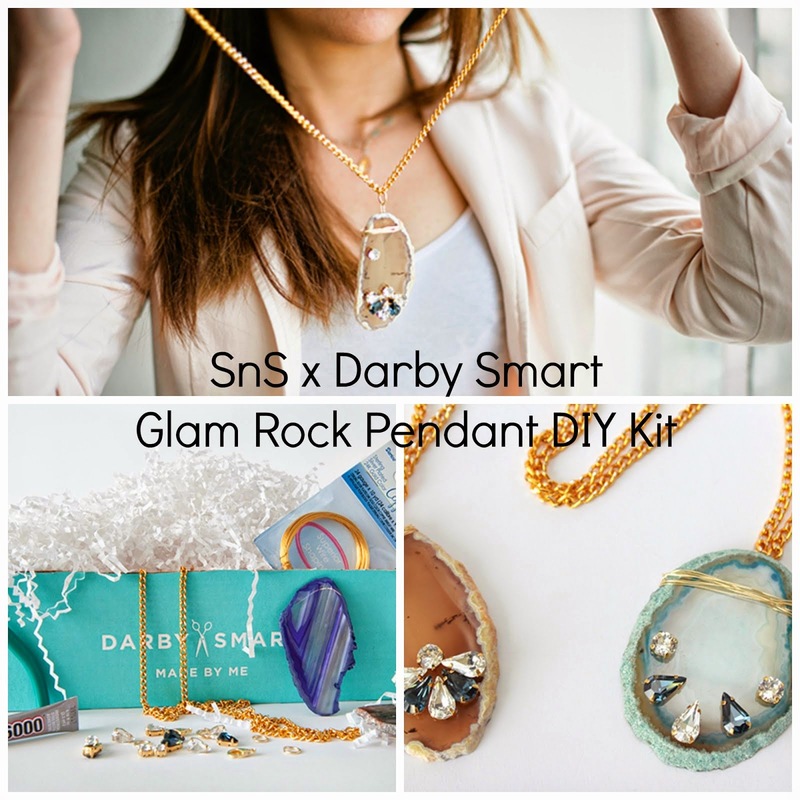 Tag your inspired creation with #SnSDIY so I can see what you're making! Wow what an awesome diy! They look so so so good! Love!